U.S. Marines are known for being hard-chargers; for never giving up and overcoming whatever obstacle they may face. Perhaps no Marine exemplified this willingness to prevail against overwhelming odds better than Guy Louis Gabaldon – “The Pied Piper of Saipan.” He earned the sobriquet in June 1944 when he was 18-years-old by capturing or persuading over two thousand Japanese Soldiers and civilians to surrender during the battles for Saipan and Tinian islands during World War II. Gabaldon was born in Boyle Heights, California on March 22, 1926, one of seven children in a Mexican-American family. As a ten-year-old, he helped his family by shining shoes on skid row in downtown Los Angeles. Growing up in a tough Hispanic barrio, he became a member of a multi-ethnic gang known as the “Moe Gang.” Like the rest of his gang members, he had a disregard for authority and was always in some kind of trouble. That began to change, however, when he was twelve and “adopted” by the Nakano family, a loving Japanese-American family who raised him as part of their extended family. While living with the Nakano family, he attended Japanese language and culture classes with the family’s children, eventually learning to speak Japanese. After the Japanese bombed Pearl Harbor on December 7, 1941, the Nakano family, like most Japanese-American families living on the West Coast at the time, was sent to an internment camp at Heart Mountain Relocation Center, in Wyoming. “I wanted to go to the internment camp with them, but they wouldn’t let me,” Gabaldon would later say. Instead, he moved to Alaska to work in a cannery. On March 22, 1943, his 17th birthday, he enlisted in the Marine Corps and was sent to Camp Pendleton for basic training. Gabaldon then attended the Enlisted Marine Japanese Language School at Camp Elliot and following graduation, he was then assigned to Headquarters and Service Company, 2nd Marine Regiment, 2nd Marine Division, as a Scout and Observer. As the Marine Corps island-hopped across the Pacific and closed in on Japan, military officials were faced with the dilemma of whether or not to launch a land invasion of the Japanese home islands. Eventually, American military officials decided against invading Japan, as it would cost an estimated one million American and countless more Japanese lives. Instead, the island of Saipan, located in the Northern Mariana Islands, was chosen as a base of operations on which airfields could be built to launch B-29 Superfortress bombers against the Japanese mainland. After two days of intense bombardment by fifteen battleships of the Armada, on June 15, 1944, more than 300 LVTs landed an initial 8,000 Marine force, including Marines from the 2nd and 4th Marine Divisions, on the west coast of Saipan under covering fire from eleven support ships, including battleships cruisers and destroyers to being the invasion against a force of more than 30,000entreneched Japanese Soldiers. This was just a fraction of 71,000 American force who would eventually load on Saipan and battle the Japanese. To further complicate matters, Japanese Soldiers, under the impression that they would be immediately executed by the Americans, rarely surrendered. 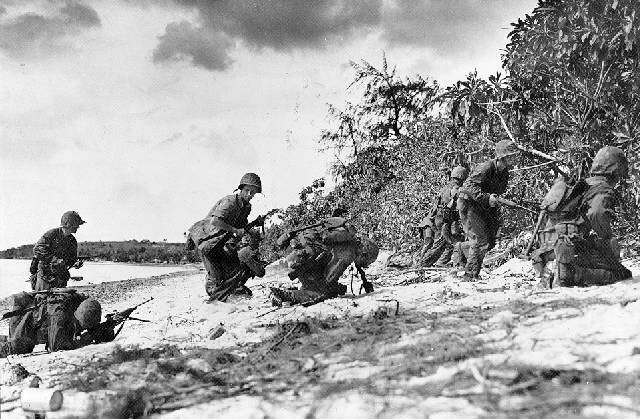 Even as it became apparent that the Americans would eventually take the island, the Japanese Soldiers were ordered by their commanding officers on Saipan to kill seven Americans for every Japanese soldier lost or to commit suicide rather than be captured or surrender. The term “human bullets” was coined by the Japanese to describe these suicidal forces, in their first honest reporting following the loss of the island. It was against this fanatical force that, after arriving on Saipan, Gabaldon defied orders and left camp his first night on the island to try to capture Japanese Soldiers and brought back two prisoners using his limited Japanese. For leaving his post without permission, Gabaldon was reprimanded by his superior officers and threatened with a court-martial. Despite the threat of disciplinary action, Gabaldon left his post again the following night for the same reason. This time, he approached a cave, shot two guards, and yelled in Japanese to the Soldiers inside, “You’re surrounded and have no choice but to surrender. Come out, and you will not be killed. I assure you will be well-treated. We do not want to kill you.” The Soldiers exited the cave and the next morning Gabaldon returned to camp with 50 prisoners. As a result of his effectiveness, Gabaldon received permission from his commanding officer, Capt. John Schwabe, to act as a “lone wolf” operator. He could do whatever he wanted, whenever he wanted. The perfect task for a tough Hispanic kid from the East Los Angeles barrios. On July 6, Gabaldon left on another of his evening patrols and entered an area near Saipan’s northern cliffs. It seemed fairly deserted at the time, but before daybreak, he realized that hundreds of enemy infantry were moving onto the flats and gathering for an assault. By this time he was cut off from any path of retreat and any attempt to show himself would have resulted in a quick and noisy death. He remained under cover and listened as thousands of Japanese troops and some civilians drank sake and loudly prepared for the largest banzai charge of the campaign. The island’s commanding Japanese office, Lt. Gen. Yoshitsugu Saito, had mandated that all able-bodied civilians and all mobile wounded forces join in one final suicidal attack, saying “There is no longer any distinction between civilians and troops. It would be better for them to join in the attack with bamboo spears than be captured.” In addition, Emperor Hirohito had sent our an imperial order encouraging the civilian of Saipan to commit suicide, resulting in the death of many thousands of civilian, maybe as many as 12,000. 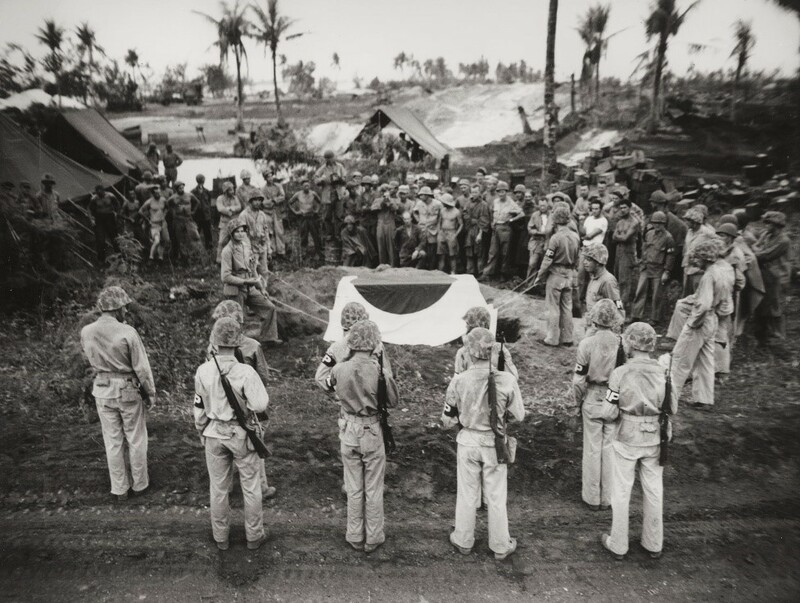 Above photo is the funeral of Yoshitsugu Saito by American military personnel, Saipan, 1944. The following morning, July 7, 1944, the battle to secure the Japanese occupied island of Saipan peaked in one of the largest banzai charges of the Pacific War. At dawn, with a group of 12 men carrying a great red flag in the lead, the 3000 remaining able-bodied Japanese troops under Lieut. Gen. Saito, plus the civilians he had coerced into joining them, charged forward in the final attack, followed by the barely armed wounded with bandaged heads and hobbling on crutches. The charge lasted over 15 hours and brought the total Japanese losses for the island battle to over 30,000, almost the entire Japanese garrison. Two American battalions were nearly annihilated in the battle leading to 650 casualties, while their fierce resistance resulted in over 4300 Japanese killed. Three Medals of Honor were awarded posthumously for that battle. The next morning, American Marine reconnaissance patrols edged their dangerous way forward to map out Japanese lines. As one patrol approached the seacliffs lining the north side of the island, they were greeted by an extraordinary sight. On the flats at the top of the cliff was Guy Gabaldon surrounded by hundreds of Japanese troops, many of them still with weapons. One might have thought that this Marine was experiencing his last moments on earth. But as the incredulous scouts looked on, it became apparent that the lone Marine was actually ordering his hundreds of “prisoners” into smaller groups, even as more Japanese streamed quietly up from their ocean-side caves. Eventually, over eight hundred Japanese Soldiers and civilians surrendered to Gabaldon, an astonishing number considering that the battle for Tarawa a few months earlier had produced only 146 prisoners from a total garrison of nearly 5,000. The prisoners were turned over to the U.S. military authorities. By the time of his July 8 capture of 800 prisoners, Gabaldon had already become well known on Saipan for his capture of hundreds of other die-hard enemy troops using a brisk combination of fluent Japanese and point-blank carbine fire. Gabaldon continued to capture more Japanese people on Tinian. While back on Saipan fighting Japanese guerrillas still on the island, he was seriously wounded in an enemy machine-gun ambush. Gabaldon was credited with the capture of approximately 1,500 Japanese Soldiers and civilians on Saipan and Tinian and was recommended for the Medal of Honor by his commanding officer, Capt. John Schwabe, who noted that Gabaldon single-handedly captured more than ten times the number of prisoners taken by legendary Medal of Honor recipient, Sgt. Alvin C. York, in World War I. Despite this recommendation, Gabaldon was awarded a Silver Star Medal. Overall, the Americans counted over 14,500 casualties in the battle for the island, among them nearly 3000 killed in action. Future Hollywood actor Lee Marvin of “I” Company, 24th Marine Regiment, was among the many Americans wounded on Saipan, shot in the buttocks by Japanese machine gun fire. Saipan causes another unexpected result: the loss of the island and the resulting shakeup in the Imperial Japanese Navy’s war staff led to the first honest reporting to the Japanese people of the events taking place in the Pacific as their forces were defeated and territory was lost, with a devastating effect on Japanese public opinion. Gabaldon received an Honorable Discharge from the Marine Corps as a result of his combat wounds. 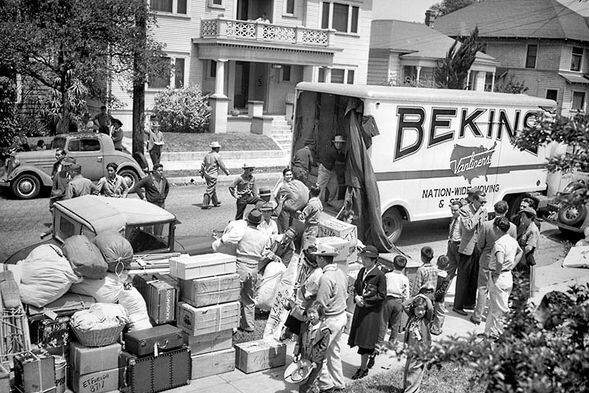 After returning to civilian life, he moved to Mexico and ventured into various businesses such as a furniture store, fishing, and the import-export of Mexican goods. When his first marriage to June Gabaldon ended in divorce, he met the woman who became his second wife, Ohana Suzuki. For 20 years Gabaldon and his family lived in Saipan, where he worked at various jobs, including police chief and drug abuse counselor. Gabaldon’s World War II exploits became public when in 1957, he was the invited guest of “This is Your Life,” a popular television program aired by NBC in the 1950s. Hosted by Ralph Edwards, the show presented the life stories of entertainment personalities and “ordinary” people who had contributed in some way to society. 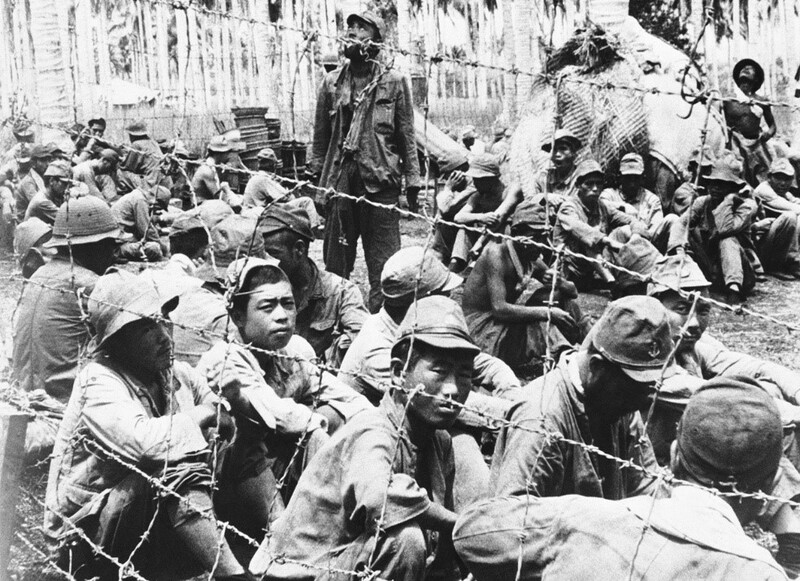 The fact that Gabaldon captured at least 1,500 Japanese prisoners was verified on the national program by Marines Corps intelligence officers Col. Walter Layer, Col. John Schwabe, Maj. James High, and several enlisted men from military intelligence. 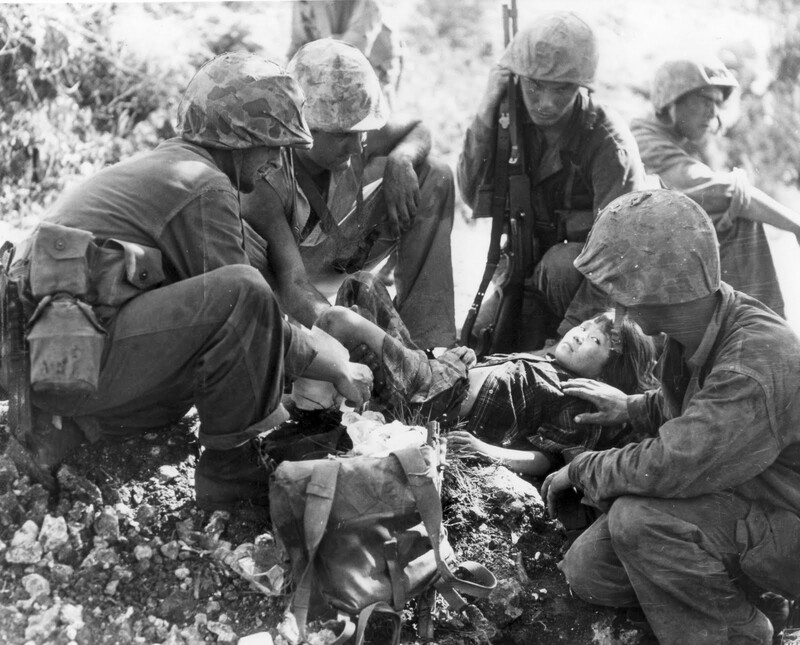 Hollywood producers also became interested in Gabaldon’s story and in 1960 released the film “Hell to Eternity” where his actions on Saipan were memorialized. He was portrayed by actors Jeffrey Hunter as an adult and by Richard Eyer as a boy. Gabaldon himself served as an adviser in the filming of the movie. John Schwabe said he had recommended Gabaldon for the Medal of Honor, but the Marine never received it and instead honored Gabaldon with a Silver Star. But his 1950s appearance on the television show “This is Your Life” led to the making of “Hell to Eternity” resulted in an upgrade to the Navy Cross, second highest award for gallantry to the Medal of Honor. The case to upgrade his Navy Cross to the Medal of Honor is currently under review by the Department of Defense. 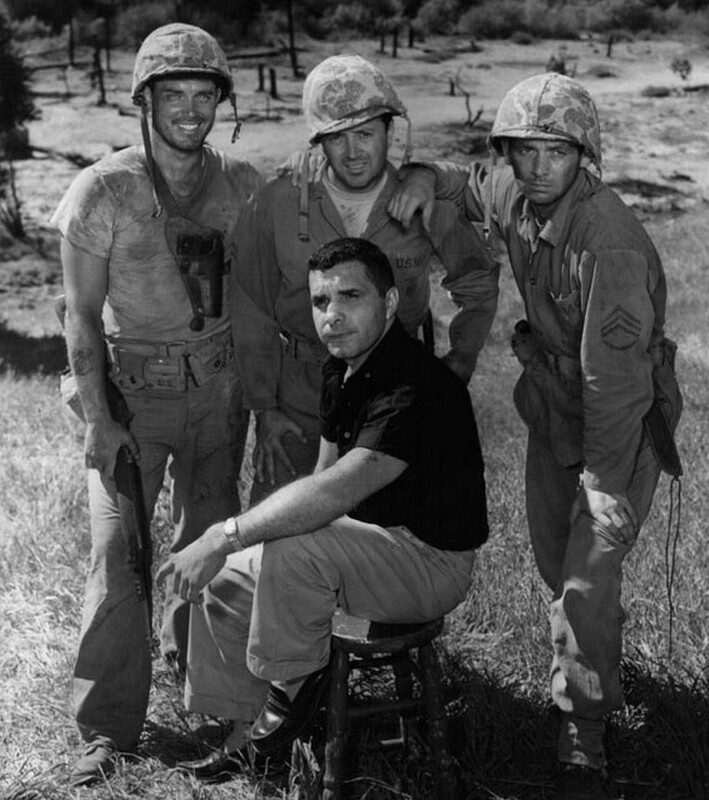 In addition to the Hollywood movie, producer Steve Rubin made a documentary film about Gabaldon titled “East L.A. Marine: The Untold True Story of Guy Gabaldon.” Henry Godines also unveiled a commissioned portrait, titled The Pied Piper of Saipan, Guy Gabaldon. Decades later in his memoir “Saipan: Suicide Island,” he wrote an expanded account of his wartime experiences. Called ‘Gabby’ by his friends, he was an outspoken member of right-wing political organizations. In 1964, he unsuccessfully ran for US Congressman in his Southern California district. During his lifetime, Gabaldon received many awards and recognitions, including resolutions honoring him from the City of Los Angeles, the City of Chicago, and the Commonwealth of Northern Marianas. On November 12, 2005, he was the recipient of the Chesty Puller Award from the World War II Veterans Committee, a prominent organization which showcases the veterans of World War II and their history. On July 7, 2006, he was honored by Mayor Antonio Villaraigosa of Los Angeles and the Los Angeles City Council. The Mayor and the City Council sent a resolution to the White House requesting the Medal of Honor for Gabaldon. That same year the World War II Veteran’s Committee in Washington, D.C., featured Gabaldon on the cover of their quarterly magazine. Also in July, Gabaldon was honored by the National Council of La Raza, a national organization, and a leading Latino civil rights advocate. 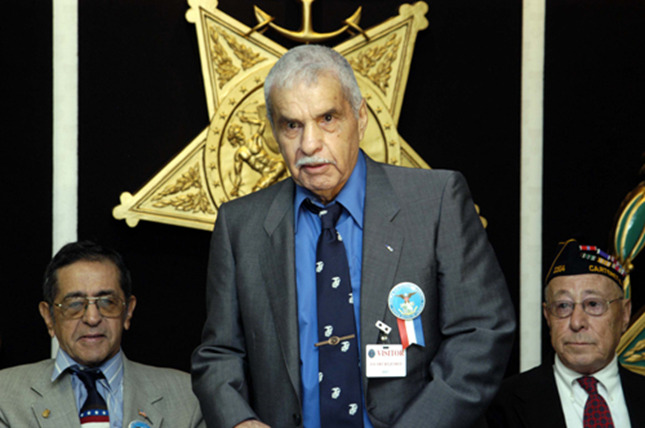 On August 31, 2006, Gabaldon died at the age of 80 of heart disease. He was survived by his second wife, Ohana; his sons Guy Jr., Ray, Tony, Yoshio, Jeffrey, and Russell; his daughters Aiko, Hanako and Manya. Two members of his “adopted” family were actor Lane Nakano and his twin Lyle. He was buried with full military honors at Arlington National Cemetery.